I just love a good mystery game or puzzle to solve. Even as a kid I loved figuring out mysteries, which is why I loved reading Nancy Drew books. I was so excited we got to check out the new Nancy Drew and the Hidden Staircase movie! Scroll down to the bottom if you’d like to win a copy for yourself! But, first, I have totally fun Mystery Game Messages that your tweens will love and goes perfectly with a movie-watching party with Nancy Drew. Do you remember getting those hidden messages in a kids meal or a box of cereal and it coming with a red decoder magnifying glass to solve the message? 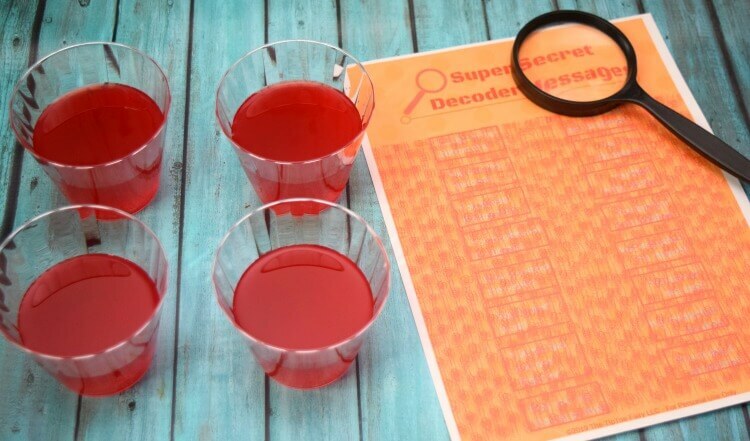 Did you know you can turn red punch drink into your very own spy glass decoder? 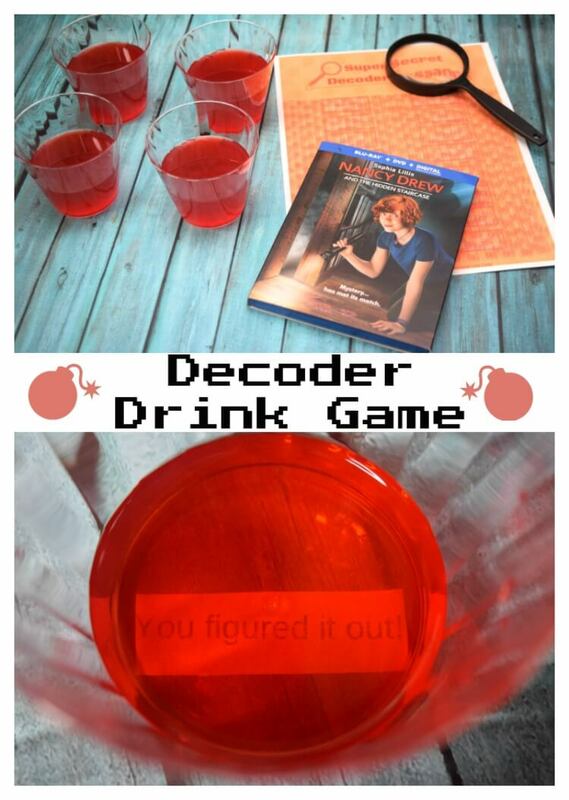 You can host a movie-watching party for Nancy Drew and the Hidden Staircase, serve red punch in clear punch cups, and when people look through the bottom of their cup, they’ll have a secret message only they can read! 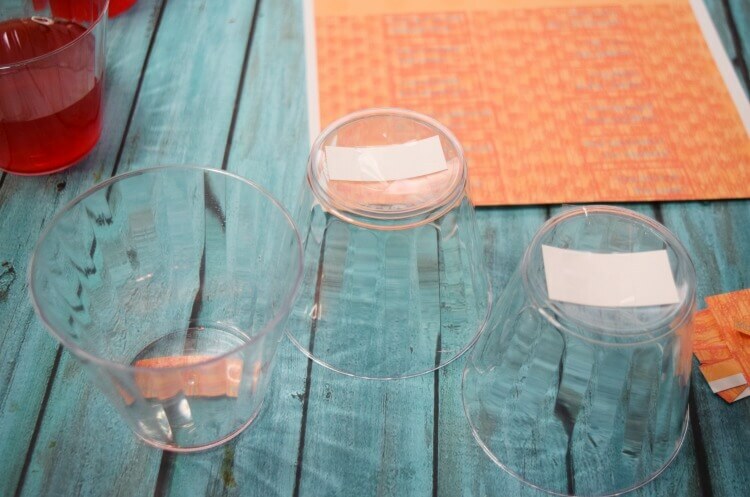 Print off the free Secret Message Decoder messages and tape one to the bottom of each clear punch glass (make sure it’s facing upwards). Then, they can read the secret message through the punch! 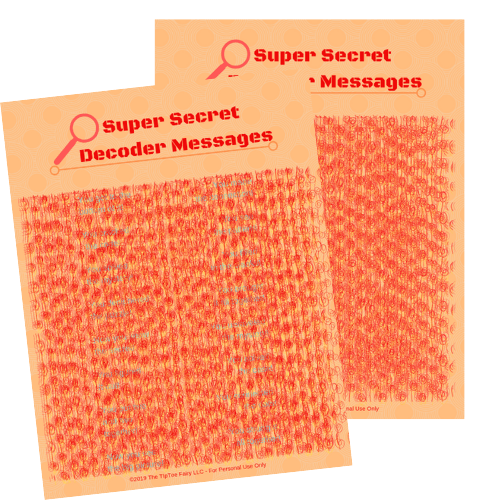 When you download your printable, you’ll get one decoder page with secret messages you can cut up to put on the cups, and there’s also a blank decoder page for you to write your own messages! Just use a light blue or turquoise colored gel pen to write messages on it for the best results, and you can use your red punch to read the messages. Cut out each message and tape it to the bottom of a clear cup. When your friends drink their punch down to about 1 inch left, they can read the secret message on their cup! The iconic mystery solving teenager from the classic Nancy Drew books is back with an all-new feature length film that will keep you guessing until the very end! Ellen DeGeneres is the executive producer, and the movie stars Sophia Lillis (IT and “Sharp Objects”), Sam Trammell (“True Blood” and “This is Us”), and Linda Lavin (“The Good Wife” and“Alice”). The story follows Nancy Drew in her new town, making new friends, and on a mission to solve the case! After the death of her mom, Nancy and her dad move from Chicage to the small town of River Heights. For 16-year-old Nancy Drew, life in a small town is mighty dull. She longs for excitement, adventure, and the chance to make a difference. Then, she gets that opportunity when she is asked to help solve the mystery of a ghost at the Twin Elms mansion. Can she help explain the creaking footsteps, exploding light bulbs and the ominous creature? Is it the handiwork of high-school bully Derek Barnes? Or is it possible that the ghost of original owner Malcolm Colfax is back for revenge? Recruiting her best friends George and Bess, along with local “mean girl” Helen, Nancy Drew is on the case! This is a great movie to introduce your tweens to classic Nancy Drew. I love a movie where I can’t quite guess the ending, and this was one of those. Sophia Lillis and her spunky attitude are perfect for the character. She’s totally smart and a bit of a prankster, but she’s also a great friend. I love how the girls use science in solving the mystery. There are some mildly scary parts at the end of the movie, when there is a gun and talk of murder very briefly. It’s also a fun slapstick kind of movie. This would make a great girls sleepover party movie. Check out this Nancy Drew and the Hidden Staircase Escape Room & Mystery Match game. Solve the mystery below and help Nancy out of a jam! How long did it take you to crack the code and escape the room? I don’t recall having just one favorite book — I loved reading all of the books. The Secret of the old clock was my favorite nancy drew book as a kid. The Secret of the Golden Pavilion. I liked them all! I want my niece to know about them now!